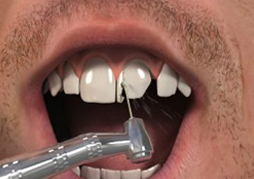 This is a safe procedure that entails the removal of any decay from your tooth, and taking out the metal or amalgam fillings if you are having them replaced. The new filling is made from a very hard tooth-coloured substance and will withstand the forces in your mouth when you bite and chew over a long period of time. The restoration is completed in one visit and your fillings will not be visible when you smile. Improved cosmetic appearance of filled teeth while still being able to bite and chew as usual. Dental amalgam fillings are made from a compound of metals and having a filling is among the most common dental procedures. These fillings have been used as the treatment of choice to fix dental cavities and tooth decay for more than 150 years. 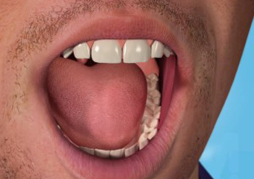 It is estimated that, across the world, about 1 billion amalgam fillings are placed annually. Dental amalgam comprises a mixture of metals, of which approximately 50% is mercury in its liquid form. The other metals used can include tin, silver and copper. 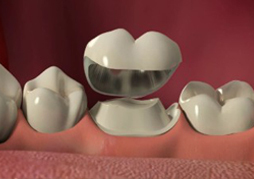 The fillings themselves are silver in colour, which often leads to them being referred to as "silver" fillings. They benefit from being very strong, making them particularly suitable for teeth at the back of the mouth. Here they will also be less visible than in the front teeth. Mercury is used to bind the other metals together. It also provides much of the strength. The material is very easy for dentists to manipulate and shape to fill cavities. If you opt for an amalgam filling, your dentist will remove the decayed area of your tooth and shape the cavity ready to be filled. Your dentist will mix the powdered metal alloy with the liquid mercury, creating an easy-to-work-with amalgam putty. This is then placed in the cavity and shaped as necessary, before quickly hardening to a strong, durable filling. Back to How can we Help?